Press coverage for products in your store can be an extremely powerful way to reach your target demographic and drive up sales. It is also a great way to expose your products to a wider audience, so people remember seeing or hearing about your brand and product(s) from a news source they trust and recognise. The ideal way to achieve this will obviously vary with product, niche, and location, to name just a few variables. But all successful approaches have some principles in common and some tactics are always a good idea. With that in mind, how do we get your products the PR coverage they deserve? 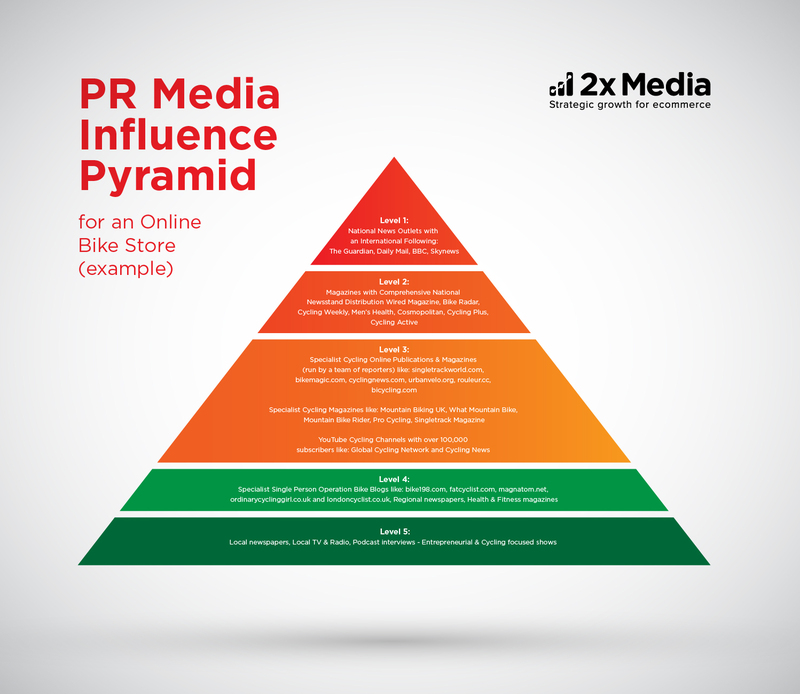 1: Start at the Bottom of the Media Pyramid by Getting Product Reviews from Bloggers. Published reviews increase the credibility of your brand. The best possible combination, professional distribution of word-of-mouth recommendation, can be yours, and looking at the longer view, increased credibility via reviews translates to increased media attention further down the line. When you’re reaching out to bloggers for potential product reviews, there are some important things to bear in mind. The first is to research the right blog. Yes, you want blogs that have a large following, but there’s always going to be a trade-off between niche and following. Lots of people read Mashable – but it’s about everything, so your chances of landing a product review or anything else directly are proportionately smaller. On the other end of the scale, more specialised outlets will have smaller readerships but often greater engagement, and they’re going to be more willing to review your product – if it’s in their area of interest. Look for close or exact matches – no blog is going to step outside their niche for your product. YouTube is awash with video bloggers (or vloggers), and just as with seeking out blog reviews ensure that; you research the right video channel, with a decent sized audience as gauged by their subscriber count and views of reviews that they might already have published. Also look out for production quality as you may need your products and brands to be portrayed in a specific manner. Sending a journalist an independent video review from a vlogger will more likely grab and retain their attention that a plain text email or even images. Next, create a target list. Start off simple with a spreadsheet, that details the name of the publication, contact names and how to reach each person. Often, publications will list this information on their ‘contact us’ page – after all, if it fits the bill, they want your content! I can personally attest to using Buzzstream to manage your media contact list. I like the fact that you can add endless number of ‘people’ to a website or publication and selectively reach out to people. Separate your target list by size, with large or industry-leading outlets in one group, midsize outfits in another and small outlets in a third group. That will help you pitch your product review press release at the appropriate level – small news goes to smaller outlets, big changes get announced to bigger outlets, though there are ways to hack this process to some extent, which we’ll get into later in this post. When you contact the websites on your list, start with the small to medium size ones. Once you have some reviews placed in smaller outlets, you’ll find it easier to get space in the larger ones, so that’s the time to contact the bigger outlets. Don’t just throw press releases out and leave them lying in people’s inboxes. Take time to keep in contact with the sites that agreed to take your releases, or that wanted to talk. If you don’t get a response initially, try again a week or so later. 4: Sign up with Media Request Services. Media request services are sites that journalists use to get ideas or information for stories. 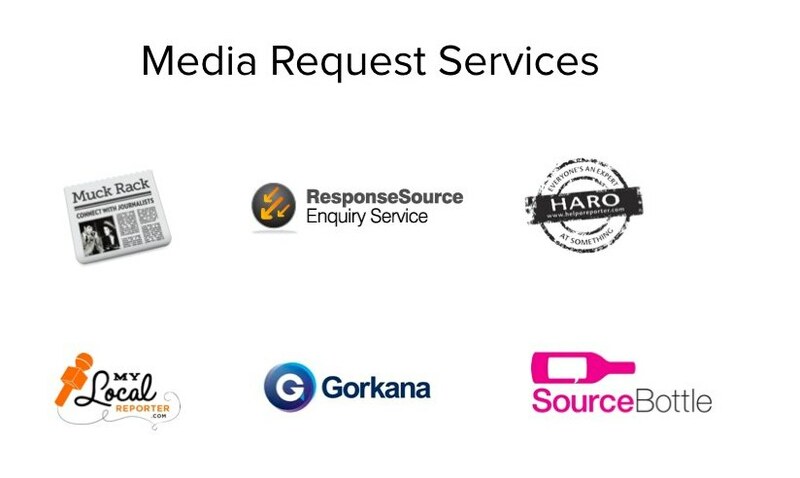 In the UK two of the leading media request sites (both paid services) are, ResponseSource (DWPub) and Gorkana. In the U.S., Help A Reporter Out, or HARO is definitely worth checking out. HARO and sites like it are often free if you’re signing up to be a source, or free with a premium package available. After you sign up, you get an email when reporters are looking for something that fits your description. Reply and you’re on your way to getting a product mention. Other sites like HARO include ProfNet, MyLocalReporter, MediaSpotMe, SourceBottle, MuckRack, MediaKitty and many more. I have written extensively about media request services on Wordtracker. 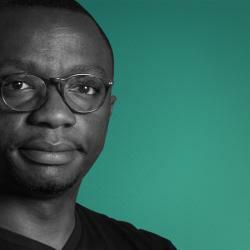 5: Pitch direct to journalists – and do it really well. Journalists get a lot of pitches. If yours is a bad fit for their publication or it’s simply a bad pitch it won’t do much for you. If it’s a great pitch and it’s aimed at the right publications it can be one of the most effective ways to get column inches. So what is a pitch? In this instance, your ‘pitch’ is you telling the journalist why your product is a story. The key thing to think about here is that no-one wants to read sales material in a paper, magazine or blog. Journalists are looking for a story to tell, something that stands out, is unusual, unique or entertaining. That can mean your pitch will concentrate on different things than you’d consider the defining features of your product. Maybe your product is the story in itself, or maybe it’s part of a wider story. If your golf clubs use the same carbon fiber as the latest generation of NASA equipment, there’s a story; if they allow slightly better control on the green, that’s a sales pitch anywhere but a specialised golfing magazine. Putting your pitch together means knowing what your target publications are likely to want. A good pitch should be friendly without being obsequious – you’re not trying to make someone like you. And it should be as short as it can possibly be, coherent and lean. Cutting the fluff out of your pitch is time well spent. Forbes contributor Cheryl Conner reports attending an event recently where she received literally hundreds of pitches, of which she replied to the only one that offered her a story and approached her with the intention to add value. Where possible, personalize pitches. This can be as simple as addressing your contact by name – emails addressed ‘dear sir or madam’ are much more likely to get forwarded to the trash – but reading a journalist’s previous work and suggesting how the story you’re pitching fits them isn’t such a bad idea either. Remember, journalists want content. You just have to convince them to pick yours – and more often than not, it’s the start of a fruitful relationship. A further recommended read on pitching to journalist is this excellent Mashable post by Zoe Fox about how pitch to journalists on social media and this expert column on the Buzzsumo blog on how to pitch to journalists by six journalists. 6: Trade up the chain. Remember I mentioned a ‘hack’ for getting your press releases into larger news organs and outlets, further up this post? Well, this is it. This is a tactic that involves leveraging the fact that larger news outlets often get their material, or at least their ideas, from smaller ones. Once your ecommerce products are online, and you’ve figured out what the story is – what’s most interesting or newsworthy about them, rather than how they’d add value to a customer’s life – you can start looking for a blog that larger blogs or magazines and newspapers take notice of. Write an engaging piece for that niche blog, ask them to run it… and if the concept is good enough and the piece is good enough, they often will. And the next thing you know, your content is being picked up by the larger media outlet and featured there too. This is obviously a massive score on its own terms – but it’s also a great stepping stone to establishing contacts at that larger news source, because you have a backlog of useable pitches behind you already in the form of content taken from niche blogs that you contribute to. 7: Use semi-automated PR outreach tools to build relationships. Semi-automated PR outreach tools allow you to find out who’s talking about you, who’s talking about your competition and whom you can reach out to to establish relationships. Once you have a relationship, you can make pitches to them to see if they’ll cover your products. You can also take your target research to the next level by reading the posts on their sites, finding out what their readers are interested in and what the right angle of approach is to pitch a story that involves your product. PR outreach tools offer different functionality and different models. Some are oriented more toward managing online outreach campaigns, media contacts and link building management, like BuzzStream and GroupHigh. Others, are built to let you access pre-researched media contact of blogs and media sites directly from their live database (GroupHigh is a hybrid). 8: Don’t stop at coverage. Your pitch is accepted. Your press release is snapped up. But writers or reporters aren’t going to let you know when the article that mentions you goes live, so set up Google Alerts, Buzzsumo Content Alerts and a Twitter search so you’re always in the loop. Share the coverage on social networks and read the article’s comment section. Ask your social media followers to read the article – upping its readership and making your content more valuable to the publication – and ask them what they think. Monitor and respond to the conversation. And thank the writer! Why do you want coverage in the first place? To drive up product awareness and ultimately conversions – both micro conversions (email addresses) and primary conversions – sales. While it might be difficult to draw a straight line between more PR and more conversions, the two should usually tend to go together, and that’s one indication that you’re doing it right. You can use the PR data as well as the traffic it generates, though. Retargeting tools like Criteo and AdRoll will let you follow up with new site visitors. Particularly, you can target people who have visited a page that was linked to or mentioned in a PR campaign, indicating that they’re interested. Flip that method on its head and you can use content recommendation platforms like Taboola or Outbrain to drive new audiences to your content. Tightly-focussed, well-researched and engagingly-written content wins – when it’s a pitch just as much as when it’s a blog post or article. Approach journalists with what you can give them, not asking for what they can give you. Track the results and keep at it, and PR can be one of the most effective long-term strategies for driving traffic and conversions.